Check out the NDLA Conference 2019 schedule here, and then make sure to register by February 1 to take advantage of early bird discounts! Nominate your favorite Distance Learning professional for NDLA’s annual Wayne Fisher award by January 16. Read more about the award and download the form here. Sorry, the request for presentation proposals for the NDLA conference on February 14-15 is now closed. Presenters will be notified later in December Thanks to all who submitted! Start Thinking About a Session Proposal! After a busy and (hopefully) fun summer, it’s time to continue our lifelong mission of learning. With the NDLA Conference dates set for February 14-15, 2019, and the new venue at the Cornhusker Marriott in Lincoln, it’s also time to start building the content for that event. Be thinking about your session proposals, and check back for the RFP in early September! Announcing—NDLA Conference Dates and Venue! 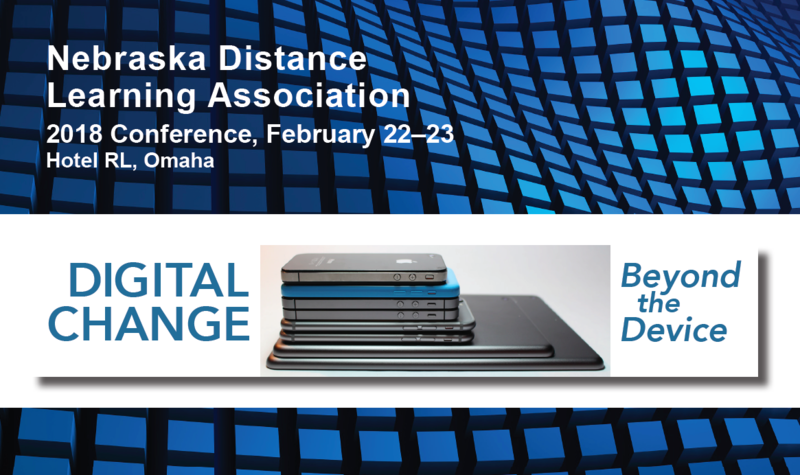 NDLA will now be doing business as the Nebraska Digital Learning Association, as a result of a unanimous vote of the attending membership at the NDLA General meeting on February 23, 2018, in an effort to broaden the membership base and keep up with new technologies, tools, learning styles and digital resources. 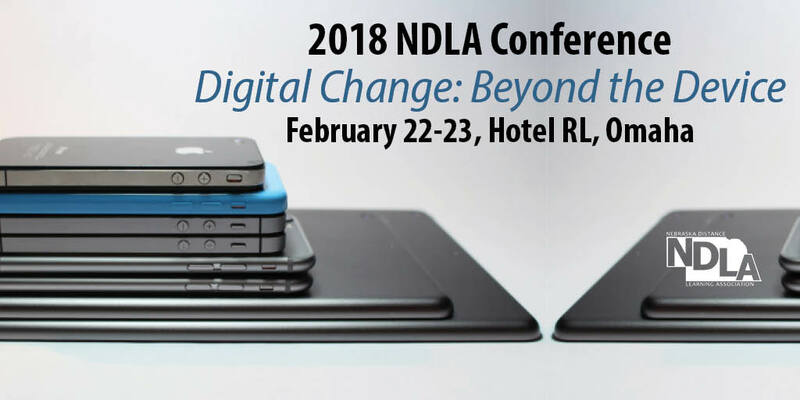 If you haven’t registered for NDLA 2018, Digital Change: Beyond the Device, please plan to register onsite. Conference details are available at the NDLA Conference menu above. Hope to see you there! NDLA Conference Registration now Open! Registration for NDLA 2018 is now open! Use the links in the NDLA Conference menu above to find out more, or click here to register!